The classic example of network effects is Facebook: every person who gets on Facebook makes the network a little more valuable for every other person on Facebook. As the number of users in a network grows, the more ridiculously valuable the network becomes. That’s why the most powerful companies in the world today are network companies: Facebook, Apple, Google. Blockchain assets (like bitcoin) are essentially networks. The more people who use a blockchain asset (like bitcoin), the more valuable that blockchain becomes. 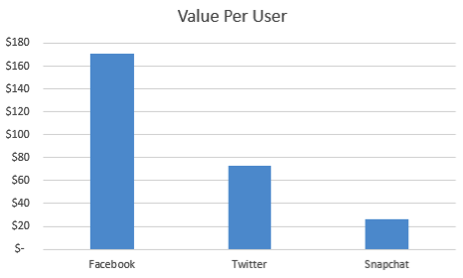 One way that analysts value network companies (like Facebook and Twitter) is by looking at Value Per User. We take their market cap, then divide by their number of Monthly Active Users. In plain English, Facebook has a price on your head. Although I believe you are a precious and irreplaceable human being, Facebook values you at about $175. Twitter values you at about $75. Of the blockchains we can track, the Value Per User is typically $1,000 and $5,000 per user. This makes sense, as we would expect blockchain VPU to be higher than social media VPU, since blockchain users are much more valuable—they’re not just mindless ad-consuming machines, like on Facebook. 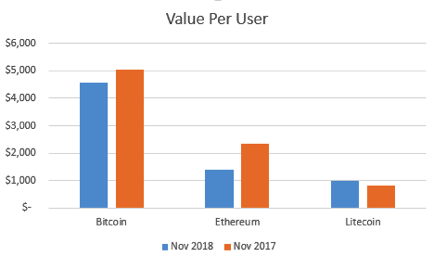 In plain English: more people were actively using bitcoin a year ago, so the overall market value was much higher. 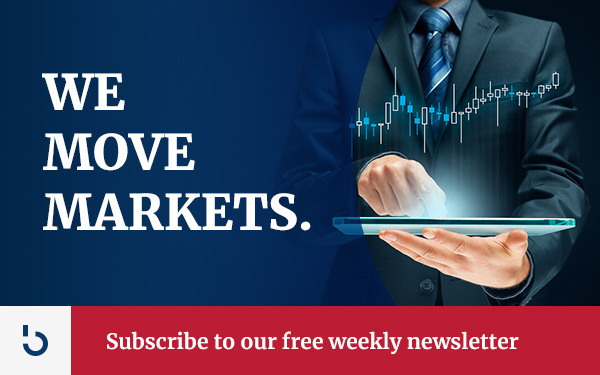 Although prices have dropped, so have the number of monthly users, so the overall Value Per User has stayed in the $4500-5000 range. This is good news. It means there is a rhyme and a reason, a method to the madness. It also means the way to increase the value of blockchains is to get more people using them. That means making them faster, cheaper, and better. The blockchain is about people. People have to use them! 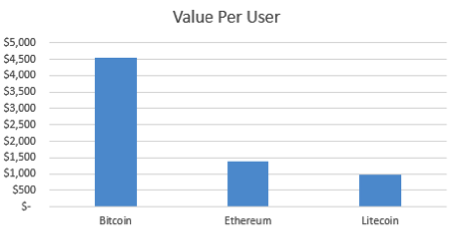 The caveat is that Value Per User depends on knowing Monthly Active Users, which is not available for all blockchain assets. Blockchains that have this level of transparency will have better valuation metrics, which means they will become more trusted, and thus more highly valued. 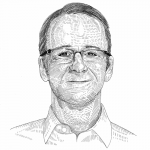 Value Per User will become an industry standard metric, because the blockchain is about users. To increase the value of your blockchain, increase the number of users. That’s common sense. And now common sense has a formula to back it up.